Within the events of the French-Egyptian Urban Week, Egypt's presidential advisor for national and strategic projects, Ibrahim Mahlab, and French Ambassador to Cairo Stephane Roumtier are set to attend Wednesday the Sustainable City Business Forum, titled "Making the Sustainable City." The event is organised by the French embassy's economic department, Al-Ahram Hebdo and the French Chamber of Commerce. Hosted by Al-Ahram Foundation from 9am to 5pm, the event will be attended by the Egyptian ministers of housing, electricity and renewable energy, investment and international cooperation, and environment, the prresident of Egypt's new admistrative capital, as well as a delegation from France's largest employer federation, Mouvement des Entreprises de France (MEDEF). The forum is set to discuss the possible role of French and Egyptian companies in implementing Egypt's plan of urban sustainable development. It will also discuss the most important achievements of Egyptian and French companies in the fields of energy efficiency and smart city projects and ways of applying these models and urban development solutions in Egyptian cities. The forum aims also at opening dialogue between the private sector and governmental bodies on sustainable urban planning in Egypt. A series of events and discussions will be held with urban planning experts, private companies and civil society representatives, as well as Egyptian and French decision makers within the forum. The French ambassador has affirmed his country is keen on cooperating with Egypt by launching new dynamics of partnership on urban development. "Overcoming the urban challenge is an essential pillar of development. which would also determine the whole fate of development in the country," Roumtier said. Ahmed Zaki Abdeen, chairman of Egypt's New Administrative Capital Project and participant in the forum, said Egypt's development future relies on the implementation of urban development projects that provide solutions to the capital's suffocating problems. 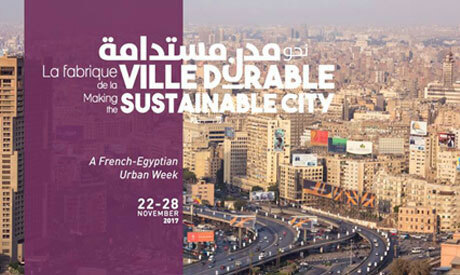 The French-Egyptian Urban Week also features the second edition of the Efficient Urban Transport of Sustainable Cities Forum, organised by the Agence Française de développement (AFD) and its partners CODATU (Coopération pour le Développement et l’Amélioration des Transport Urbains et Périurbains) and Cerema (Centre d’études et d’expertise sur les risques, l’environnement, la a mobilité et l’aménagement), in collaboration with Egyptian partners in the country's transportation sector. Additionally, a three-day conference, set to begin 25 November and organised by the French Institute in partnership with UN-Habitat and CLUSTER, will provide a platform for a French-Egyptian “exchange of ideas” on current critical urban questions. The conference will gather Egyptian, French and international experts, representing multiple stakeholders from various communities and urban sectors. On 28 November, the French Development Agency (AFD) will organise a seminar on the topic of precarious neighbourhoods in urgent need of sustainabiility and reform initiatives.